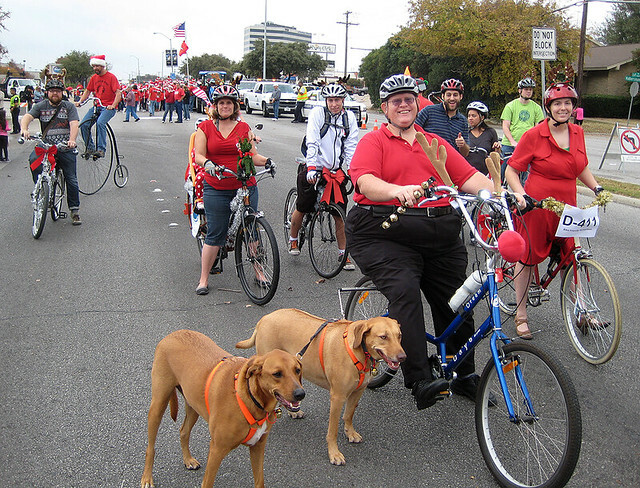 This is exactly the direction we want Bike Friendly Richardson to head. 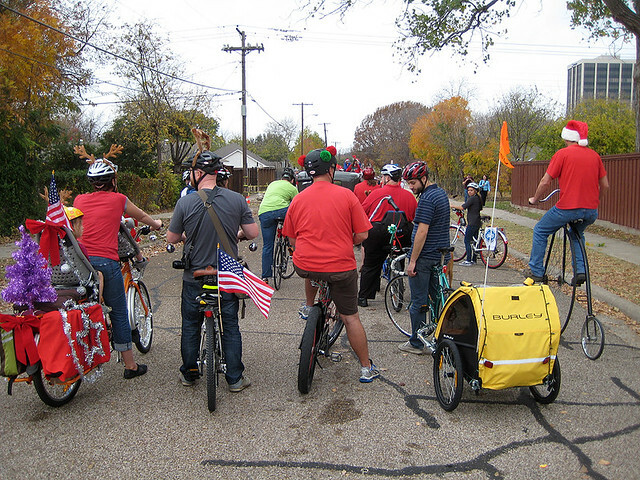 We want Richardson cyclists to have organic and spontaneous group rides that are organized by anybody interested in setting one up. A few weeks ago, a couple of folks on the BFR Facebook page were wondering if there will be a BFR participation in the annual City of Richardson Christmas parade. 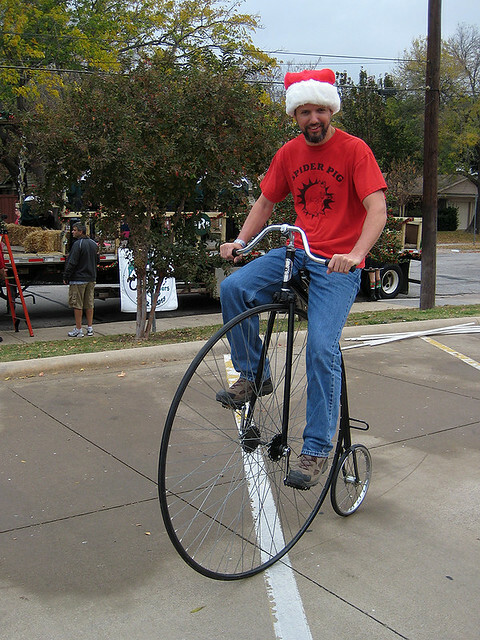 With our busy schedules and efforts put into setting up our annual Black Friday Ride, we just didn’t have the bandwidth to sign up for the parade. Fortunately, those folks, Crystalyn and Josh, took it upon themselves to jump in and get it set up. We’re glad they did. The day of the parade, we had a great variety of bikes, including one with a kid trailer, one with a couple of dogs leashed on, an urban cruiser, a couple of family truckster cargo bikes (loaded with kiddos) and even a penny farthing bike – all decked out with holiday lights and decorations. 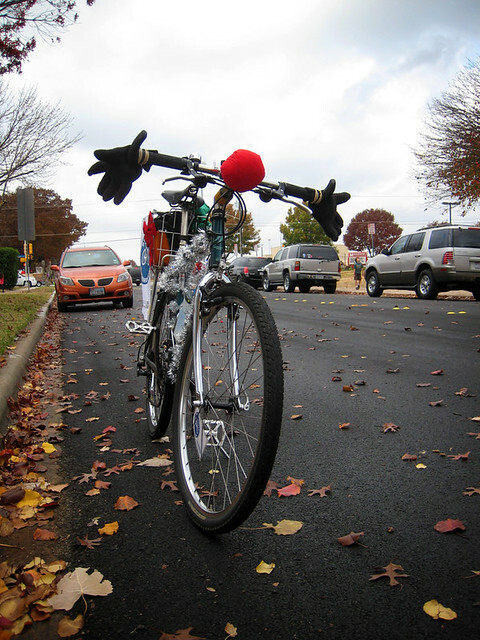 Even the riders were dressed with festive gear. 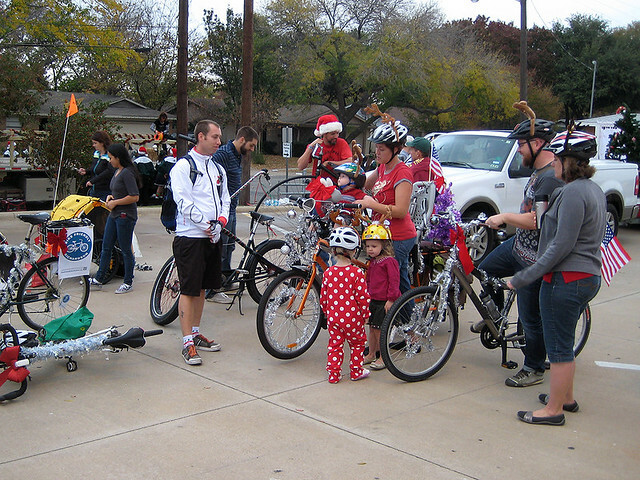 All together, we had 12 bikes and 16 participants. The ride itself was mostly stop-and-go or very slow paced, which made it easy to enjoy each other’s company, as well as the spectacle of the parade. The ‘super mom’ (I actually heard that term used by a spectator) family trucksters and the penny farthing bike got a lot of crowd’s attention. 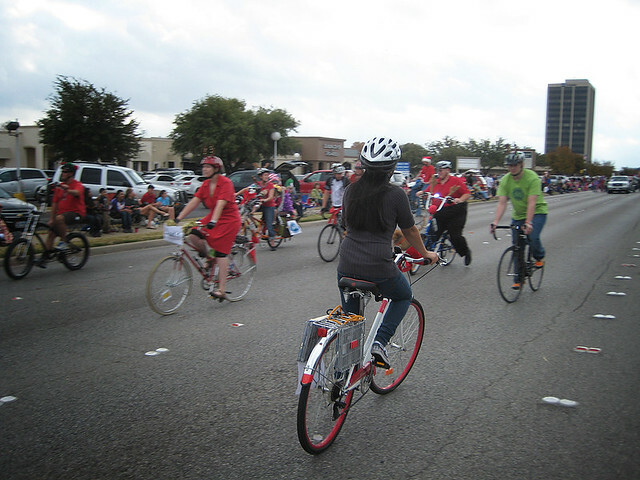 Participation in the parade was our way to build on our bike community, make more folks aware of Bike Friendly Richardson and to just have fun. To our surprise, we found out that we won an award from the city. 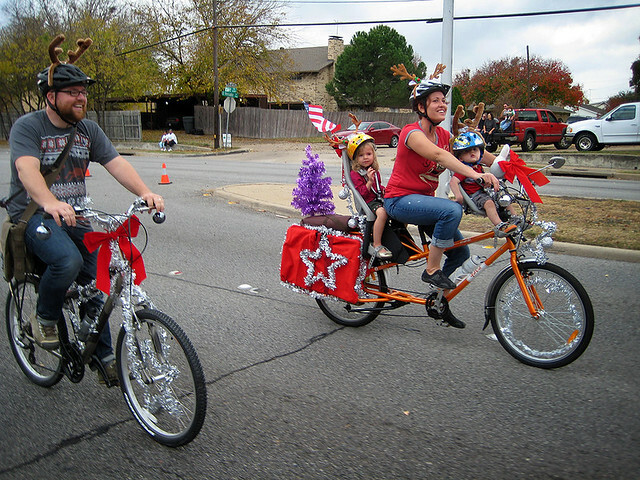 The Bike Friendly Richardson parade crew won 1st place in the ‘Civic Clubs/Organizations Mixed Unit Category’. Not bad for our first time out. The parade was a big success for the city as well. They said there were 115 parade entries, and 2400 participants. Also, 1200 toys were donated, as well as $2,200 for Network of Community Ministries – a great way to kick off the holidays. Since this ride was such a great success, we’ll definitely add it to our annual group ride list. We hope you can make it out to the next one. Here are some pics from the parade. Click here to see the entire set.